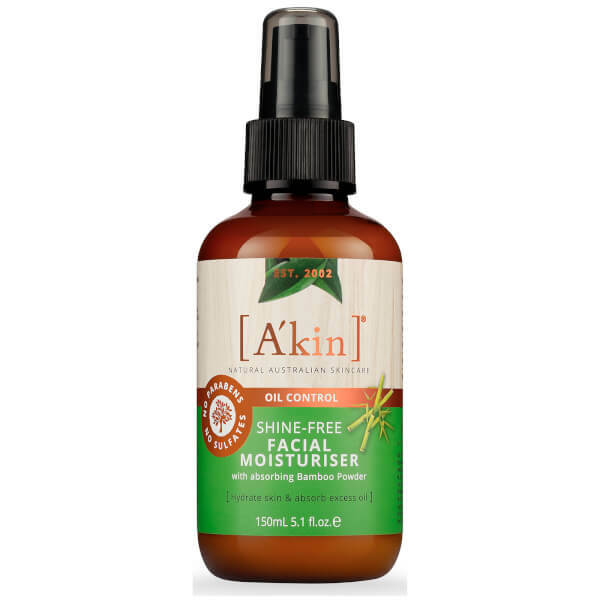 Achieve a shine-free complexion with the A'kin Oil Control Facial Lotion; a lightweight, moisturising formula developed specifically for oily and combination skin types. Harnessing the powers of sebum-controlling Bamboo Powder, the quick-absorbing lotion melts effortlessly into skin to deliver long-lasting hydration, whilst helping to eliminate excess oil and shine. Your complexion looks clear, healthy and clarified.